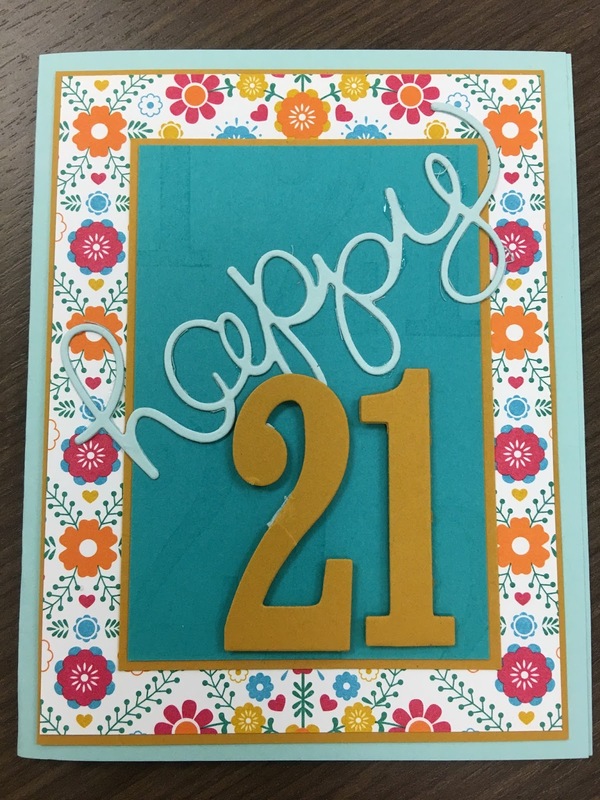 I wish I had a photo of the card I created for my daughter Lyndsey's 21st birthday, but I think I didn't save it!! WHAT?! 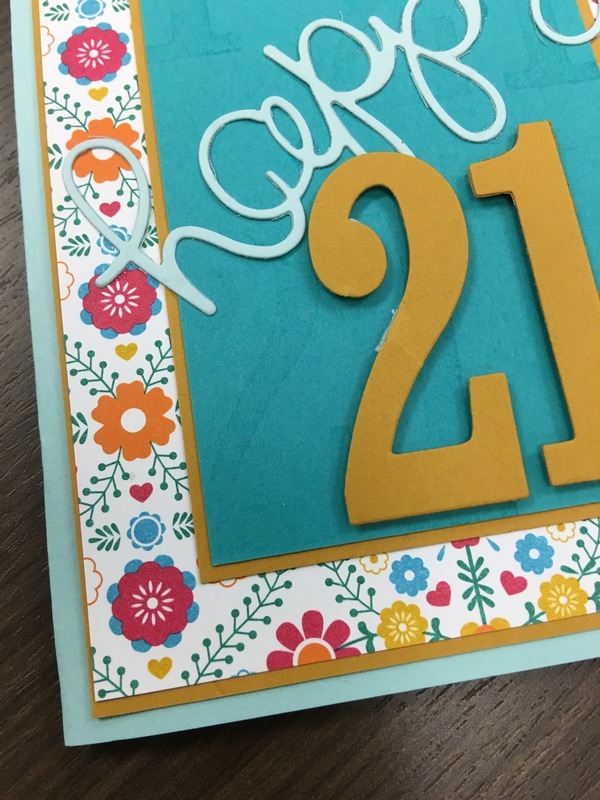 I loved the card, but since I don't remember what it looked like, it was time to create something new for her girlfriend Rosie's 21st birthday! As someone at church said regarding an anniversary on 9/11 ... "At least something good came of that day!" Well, that's true for her friend Rosie as well! Another something good came of 9/11! I decided that I needed to make a card to celebrate 21. The paper I used is the Festive Birthday DSP from the annual catalog. I love the bright colorful flowers, don't you? The other images in the package are llamas, cacti, and bright colorful stripes! So cute! I don't have the matching stamp set yet, so I made the Number of Years stamp set work instead! 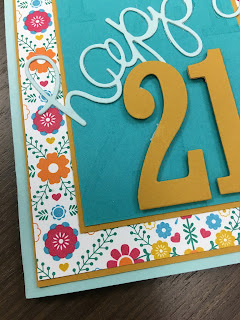 If you look closely at the Bermuda Bay cardstock, you'll see that I stamped some 21's in versamark ink -- just a subtle reminder in case Rosie forgets how old she is!! Better yet ... I cut out the numbers with the matching framelits! Oh yes, Rosie! Happy 21st birthday!